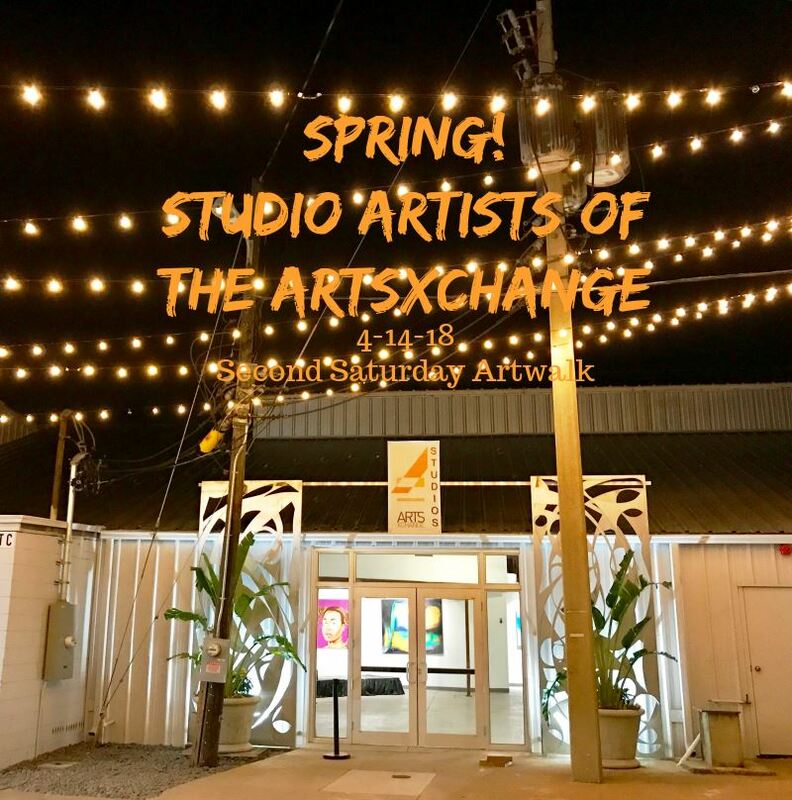 See a gallery exhibition of the 17 ArtsXchange artists in the main gallery area. Browse the studios of 25 working artists in disciplines ranging from painting, jewelry making, journalism, sculpture, photography and more! Enjoy a Dance Performance by Collective Soles Dance Studio at 6pm and 8 pm for 20 minutes each including a newly commissioned piece “Come Together” (Joe Cocker version). Watch live demos in woodworking and more from Thomas Geer outside in the courtyard! Learn more about becoming a member at our membership table too! Use #ArtsXchange and #WhereArtIsMade on social media!